INDIANAPOLIS -- While United Technologies moves ahead with plans to relocate 1,400 Indianapolis jobs to Mexico, it told investors Thursday it's expecting even more growth this year from its heating and cooling division. The company, which owns Carrier, says it has invested $100 million in new products. 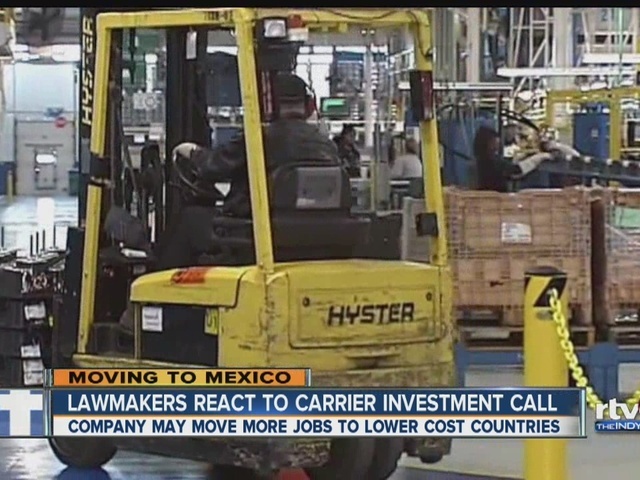 The talk of growth is one reason union leaders were hoping to convince Carrier of keeping the 1,400 jobs in Indy. But United Technologies made it clear it is focused on a workforce that's less expensive. 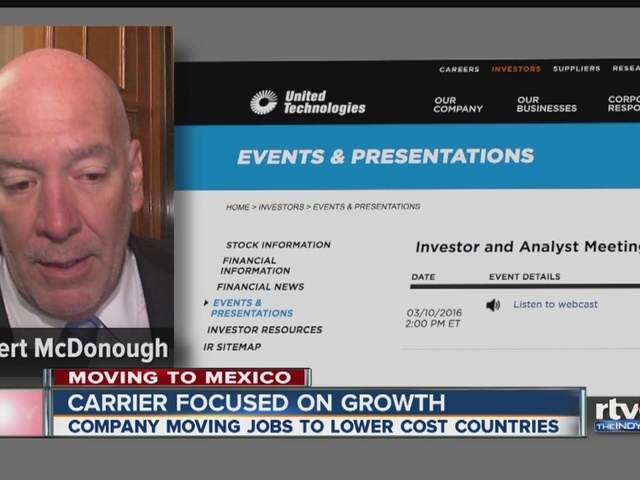 "We've shifted an abundant footprint of our manufacturing to relative lower-cost countries, about two-thirds," said Carrier President Bob McDonough. "Still some opportunities there." McDonough told investors his number-one priority is growth. Sen. Joe Donnelly (D-Indiana) pointed to McDonough's statements as proof the company was not moving jobs to Mexico because of federal regulations.